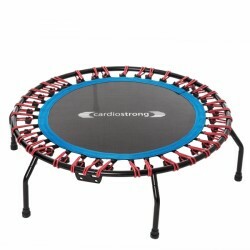 The cardiostrong fitness trampoline is distinctive thanks to its outstanding jumping features and nice design. 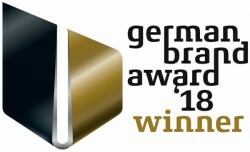 The jumping mat is suspended on single rubber rings and offers a very comfortable and joint-gentle jumping experience. The elegant design with precious black and striking blue completes the good training experience. 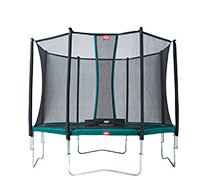 With the Fit For Fun Fitness Trampoline you can effectively loss weight and improve fitness in the comfort of your own home. 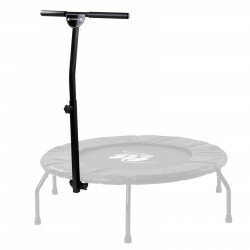 The trampoline has excellent spring properties thanks to the high quality rubber suspension rings. Optionally available is a holding rod for better stability during use. 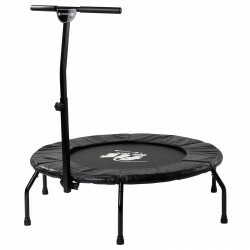 Fit For Fun Fitness Trampoline in exclusive collaboration with cardiostrong!